The piano is a very soothing and versatile instrument to learn. It can evoke many different moods in the listener, and many people like to learn how to play the piano . When you decide to take piano lessons, it can be hard to figure out what to do to go about finding a good piano teacher . You may decide to resort to other methods of learning like piano DVD instructions or online piano courses , or simply try to teach yourself. Seeking out a piano teacher for lessons is difficult sometimes, because there may not always be someone around to teach you. No matter what, there are different ways you can get instruction in playing the piano. Local music stores are a good place to start; they often hire people to come in and do nothing but teach the instrument of their choice (in this case piano) full-time. The teachers are screened for musical background. You should get to know your new instructor first and find out their rates as well as teaching style. During your first meeting, you should plan how often you intend to meet. If you decide you’re not happy with the potential instruction of someone from a music store, you can still use them as recommendation by asking them if they know of anyone in your community who may be offering lessons. Generally you’ll be able to find someone. If nothing else, you can ask the person who tunes your piano – odds are they’re around musically-inclined people in the course of their work. If you find someone to teach you via your piano tuner or via a friend or acquaintance, do the same thing as before by letting the first meeting serve as an interview of sorts. If you want to go the really professional route, you can always go to a local college or university. They offer music classes to people. You can sign up for one, and you can be sure that you’ll be getting some good instruction because the teachers have full degrees in music. They can teach you things about playing the piano that you likely wouldn’t learn from a private tutor unless they had a degree in music as well. Be sure to look up the schools’ policy of attendance – you’re technically a student there even though it’s not on a full-time basis. To find sources of piano lessons, look in your phone directory’s Yellow Pages for “Musical Instruction” or something along those lines. Yet another place you could seek lessons from is the local church. 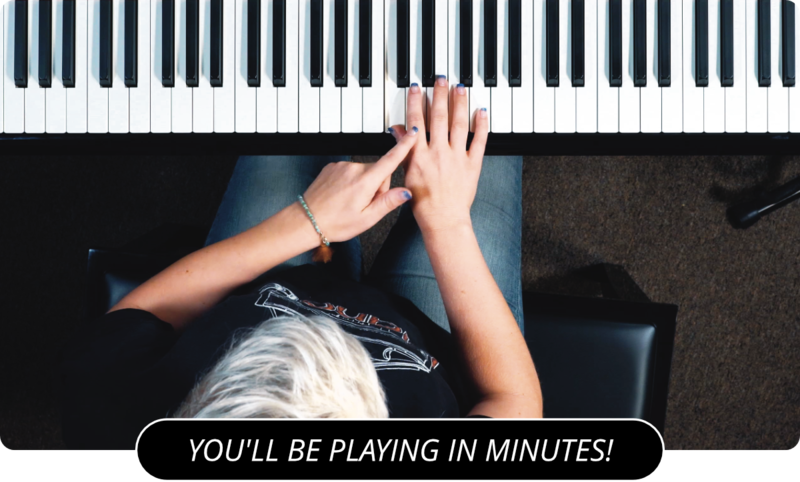 In addition to learning how to play the piano, you could become part of the church’s musical group and take part in music ministry. There are all sorts of different places you can find piano lessons. Even if you can’t find someone to act as a private tutor, you can still go to schools,music stores, ask one of your friends, or even go to your local church to find a piano teacher . Learn more about starting piano lessons by visiting the main page of PianoLessons.com , or by looking through some of the great piano lesson articles found on this web site.